Substitute "Our School" for "Downtown"
I went to the snack shack and said "Fruit Snacks"
Student Council was like "Hey What’s up,where’s your cash?" 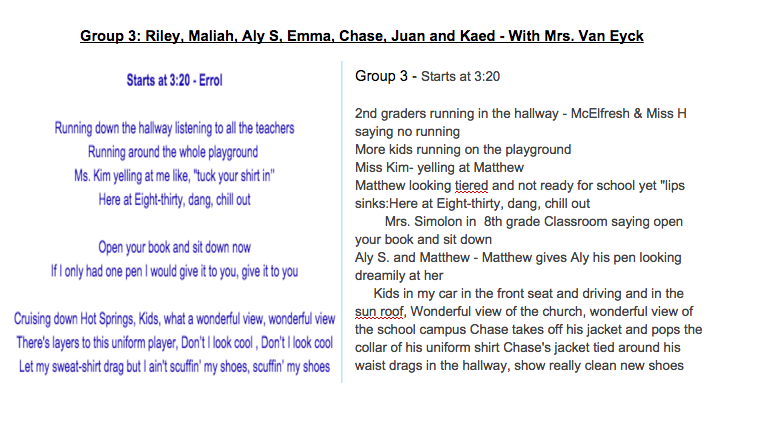 And I'm like "Honestly, I don't know nothing ‘bout this school "
Starts 2:39 - Group Rap - Chase Tristan, Milo, Kaed -Boys? Even Father Steve "says Can i have some advice?" Now do you or do you not wanna write with Miss Lee? Please write out your plan. What are you filming? Where are you filming it and who is in it? What props and costumes do you need? Erroll and Posey walk up to the snack shack where the student council is selling snacks. Flash into the 5th grade classroom where they are all using the laptops. Tristan goes "We don't need iPads"
Errol take preschooler to the office and have Mrs. Madlem give her a popsicle and preschooler yell sweet! Lulu is crying front of kindergarten near the pile of backpacks, - Hallushka, and Taylor, are with her. Taylor gets close to Lulu to check on her and to due so she steps on Haluska's Backpack. 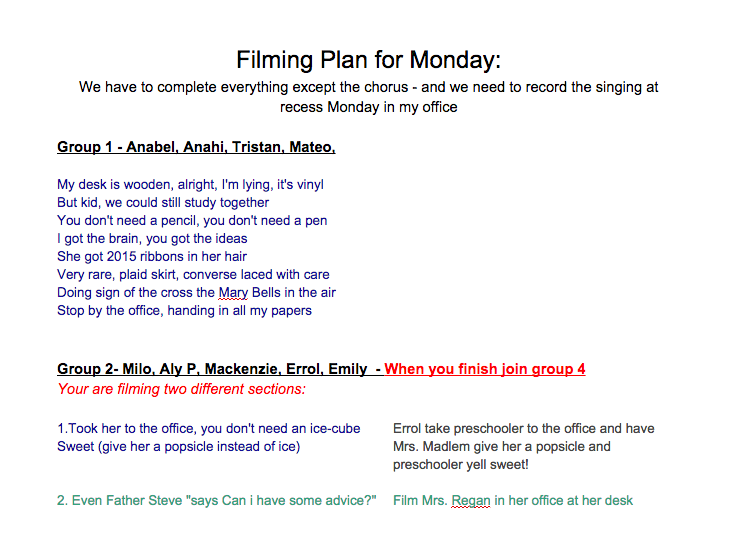 Emily’s picks up the Backpack- walking down the hall lip-syncing to errol whiel the kindergartners try to jump uo at her for the backpack. Plan: Plus dance moves from Miss Carty! If you do not want to sing thats is fine. 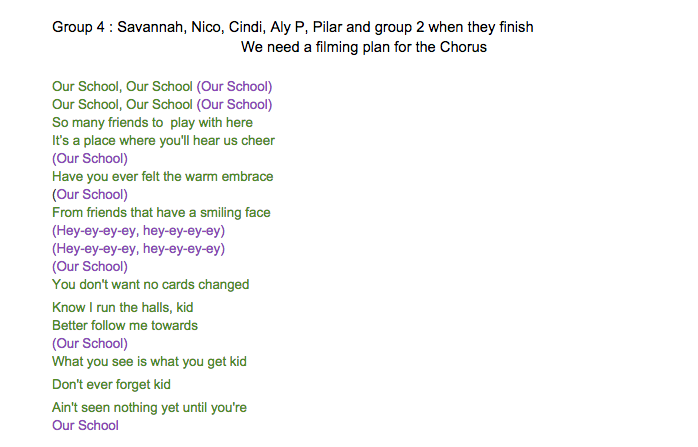 If you do come to me office at Study Hall to record the song.